This gorgeous set comes gift boxed sure to impress the cigar aficionado in your life. It includes a red burl wood Dolce Sogni cigar lighter which features a fold out cigar punch. 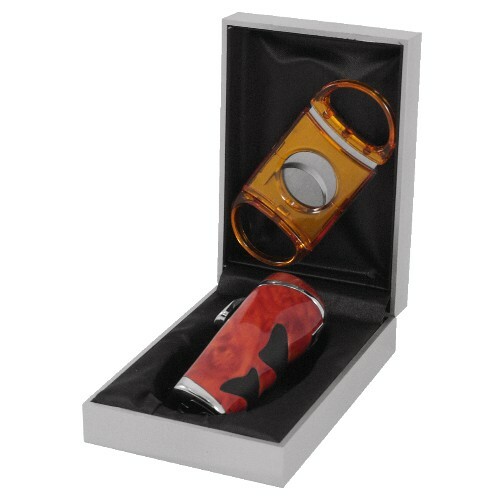 Also included in this gift set is an acrylic orange double guillotine cigar cutter with stainless steel blades. Cgar cutter -- 3.25" x 1.25" x .25"